This aspect of TGC’s services is carried out in the USA and internationally. An honorarium is agreed upon and travel and lodging are covered. Bill senses that the more recent calling on his life is to decrease these speaking engagements, and only accept those with clear spiritual and strategic potential. Plenary speaker at global mission consultations convened by the WEA Mission Commission in Manila, UK, Brazil, South Africa and Thailand. Presenter at seminars at the December, 2009 Urbana Student Mission Convention in St. Louis, MO. He has led workshops in many previous Urbana conventions. October, 2010 to speak at a younger mission leaders conference in Pretoria, South Africa. Main speaker at “Global Shifts” seminar, February 2011, Colorado Springs, CO. The seminar featured three plenary talks on deep changes taking place in our world, secular, Christian and mission, and how we must respond in what is called “radical reset”. 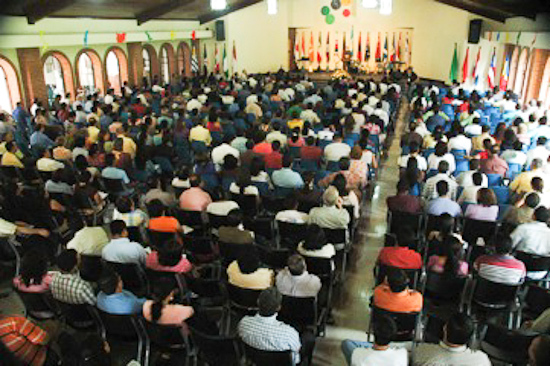 Other local churches—in July, 2011, in Guatemala he spoke at two churches, Centro Bíblico el Camino (co-planted in 1974 with his wife and two other couples) and La Verdad y la Vida church, pastored by a personal friend and former colleague, Dr. Máximo Perez. He has been the major speaker at missionary conferences at schools in the USA and on the international arena. The include, Trinity Evangelical Divinity School, Dallas Theological Seminary, Moody Bible Institute, Philadelphia International University, Denver Seminary, Alliance Seminary in Hong Kong, Seminario Teológico Centroamericano in Guatemala, Escuela Superior de Estudios Pastorales in Costa Rica.